This weekend was another exciting one! I needed to check on “Lorde”, and make sure the bees in the colony were ready to have her released into the hive. If they were calm, and not biting her cage, that would be a sign it was safe to release her. This would be the first time I opened the hive by myself. I was nervous! According to the beekeeping mentors, during the release the queen sometimes flies away, or is dropped, stepped on by accident, and killed. Thankfully, nothing like that happened! 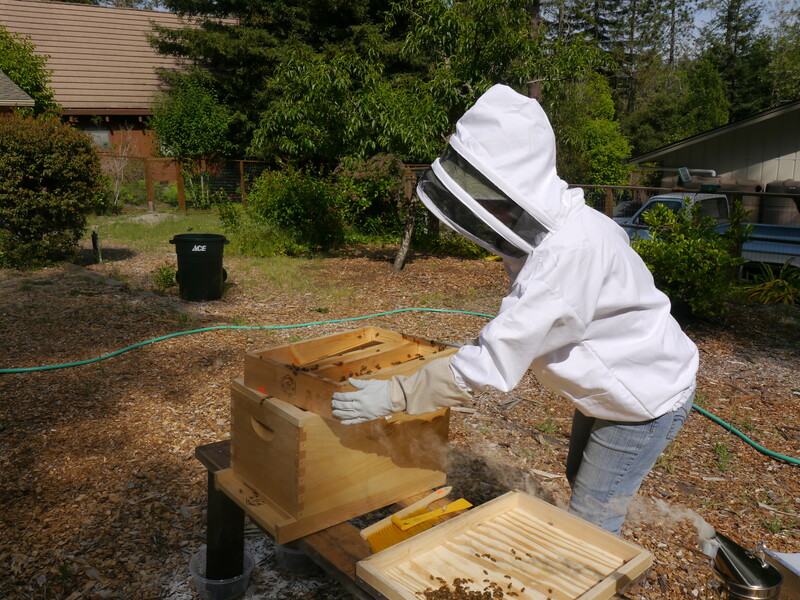 When we got her out of the cage, she went right into the hive….Success! Of course, my super assistant/husband was there to photograph. He’s also agreed to be nearby while I handle the bees, until I’m 100% comfortable doing it myself. I’m extremely grateful for his support! A tiny bit of activity near the hive. I always give them a small smoke near the entrance before accessing the hive. Next, I removed the top cover. Lots of bees up there eating! I decided to use a top feeder at this time because we will be on vacation for a couple weeks. I can put enough sugar syrup to last the entire time we are gone. I am carefully removed the feeder. The feeder sits on top of the inner cover. There are bees underneath the feeder, and I didn’t want to kill them. This the top of the inner cover. 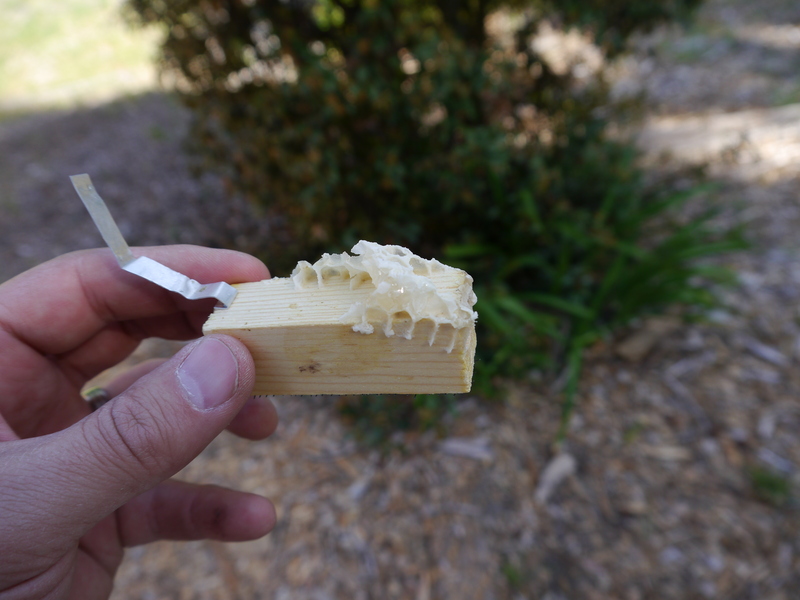 There is a medium size hole in the middle that allows the bees to climb up to access the feeder. I needed to lightly smoke them, this encourages them to stay in the hive. 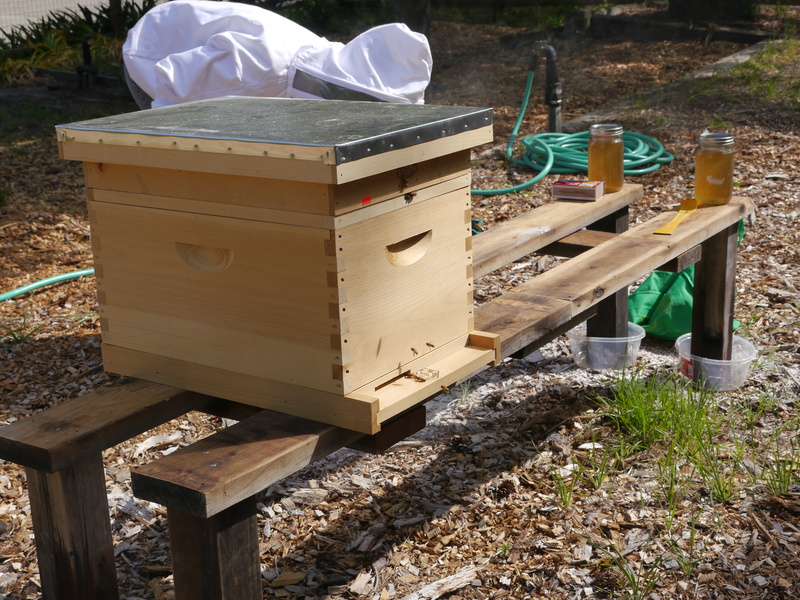 Here’s the top frames of the hive. This box is a deep super that holds 8 frames. My first time removing, and holding a frame by myself! Lorde’s cage is surrounded by a large cluster of bees middle of the frame, near the top. After I removed that frame, things got a little stressful, and I needed my husband’s help to get the cage out. No photographer = no pictures! Instead, I’ll describe the chaos! I handed him the frame because I needed to pull the metal piece attached to the cage, and remove it from the frame. Once I got it removed, lots of bees were still attached. I observed their behavior and they seemed calm, so I decided it was okay to release her. At that moment, I realized I didn’t have anyway to get Lorde out! Her cage was plugged with a small cork, that I needed to remove to get her out. I had nothing with me to remove it with, what a “newbee” mistake! I quickly ran to the garage to grab some needle nose pliers. 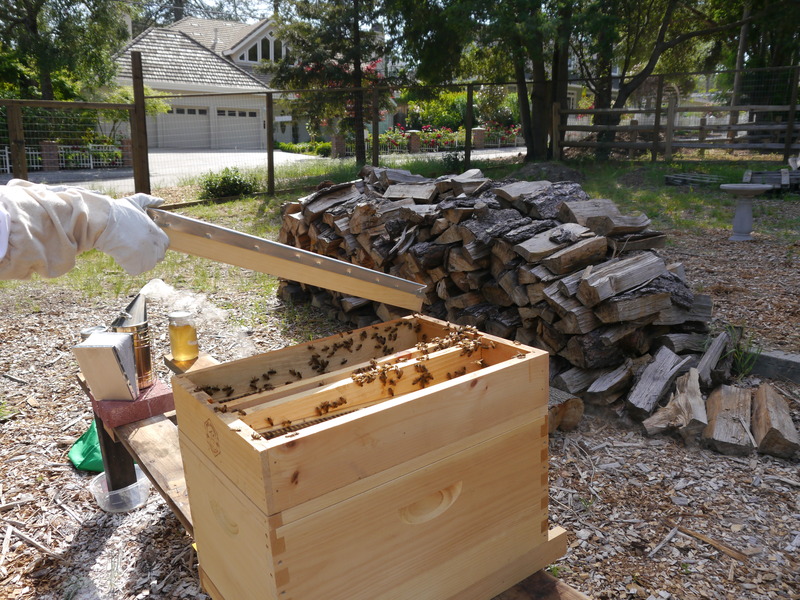 My husband put the frame back in, and held her cage over the hive. I attempted to get the cork out. Instead of pulling it out, I pushed it in, and was afraid I had smashed her! Thankfully, there was enough room for her to move away, and she was still alive. 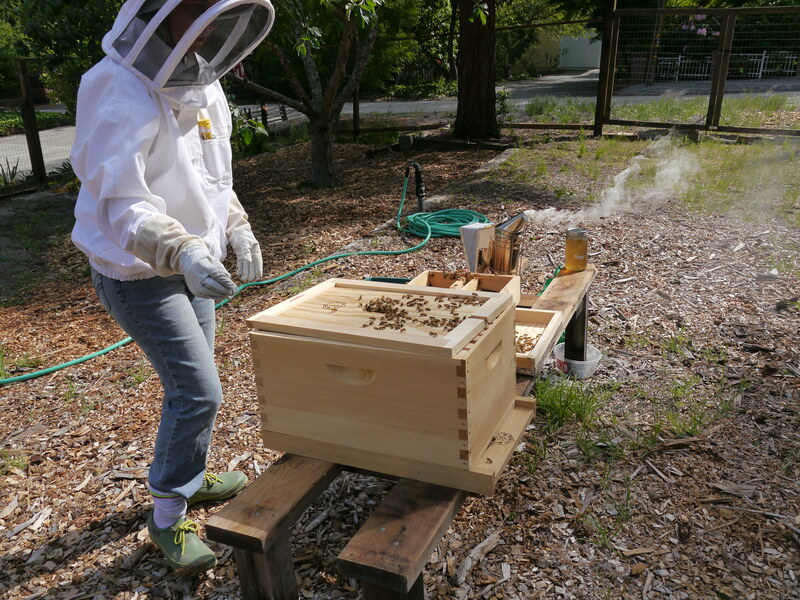 All of a sudden, she squeezed past the cork, and jumped right into the hive! It happened very fast! 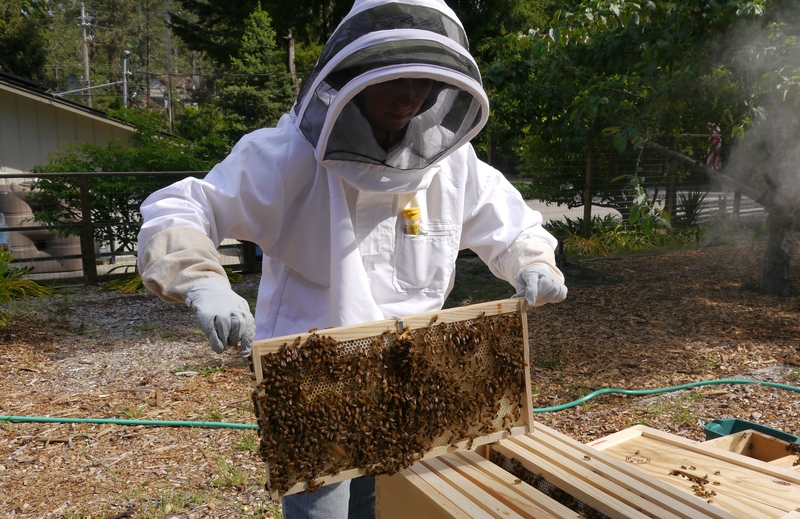 Once she was on top of the hive, lots of bees surrounded her as she walked in. Next week, I’ll do a hive check to confirm she’s still alive, and hopefully she’s started to lay eggs. The last picture is of the queens cage. The bees had already started to build comb around her cage. There was even a tiny bit of nectar. It’s near the edge, on the top, it looks shiny. It tasted sweet! Hope I’m inspiring some of you to consider beekeeping. As always, thanks for reading! 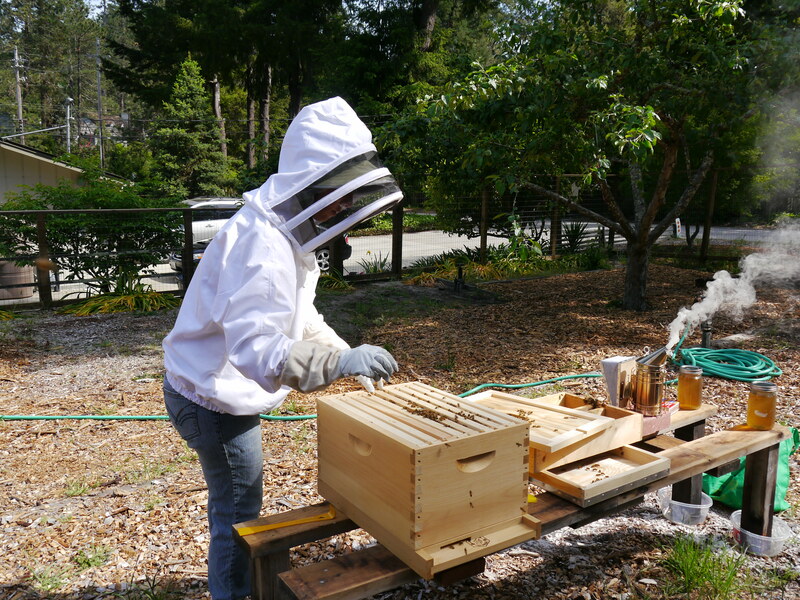 Categories: Verbena Colony | Tags: Beekeeping, Bees, Queen release, Save the bees | Permalink. That is awesome!! i am so happy it worked out so nicely!